I have compiled a list of 100 groups in India that are mostly tech and entrepreneurship related. One of my good friends, Manish Sharma was looking to connect with more Indian startups — so I created this list for him. PCBVIET PCB decision and make — 1604 members (public group). PCB Designers — 6318 members (public group). MRA Job Seekers — 214,040 members (closed group). PCB Design Engineers — 1,801 members (closed group). Wireless Sensor Network in India — 1,581 members (closed group). Bangalore Walkins for Freshers — 147,017 members (public group). PCB Designer, Tools and Technology — 1,581 members (closed group). Varuttappadata Valibar Sangam — 342 members (closed group). Game Start Now — 242 members (public group). Gulf Jobs — 58,995 members (public group). Coimbatore Jobs — 46,270 members (public group). Bangalore Freshers Openings — 17,076 members (closed group). Job Information Board for Bangalore — 59,591 members (closed group). Aptitude First Round — 11,476 members (closed group). Buy Only Indian Product — 9 members (public group). ICICI PO — 4,941 members (closed group). ICICI POS — 1,825 members (public group). EatWithUs.In — 1,791 members (public group). Anna University Plus — 1,517 (closed group). Cartoon Network — 14 members (public group). College — 80 members (public group). Mumbai Indians — 464 members (public group). Indian Engineering students and Engineers — 604 members (closed group). Nihal — 5 members (public group). Islam — 356 members (public group). The Nilgiris — 4,368 members (public group). GPTC — 58 members(closed group). Innovative Engineers — 22,070 members (closed group). Bombay Startups — 12,997 members (closed group). Startup Mumbai — 26,224 members (public group). Startup Events India — 12,005 members (closed group). India Startups Advice — 5,301 members (public group). Startup Jobs India — 5,571 members (closed group). Business Startups India — 20,008 members (closed group). Startups and Internships in India — 32,999 members (public group). Start-ups Ahmedabad — 4,742 members (public group). Chennai Startups — 18,103 members (closed group). Startup India — 2,681 members (public group). Chandigarh Startup Circle — 14,437 members (public group). Startup Jobs in India — 4,891 members (closed group). Startup India — 470 members (public group). India Startups — 6,930 members (closed group). India Startups Connect — 7,707 members (public group). RTriangle.com | Startup Network | India-2016–1,826 members (public group). Startup India — 1,756 members (public group). India Startups — 7,117 members (closed group). India Product Startups: It’s all in the Execution — 4,710 members (public group). Mumbai Startups — 11,226 members (public group). Gujarat Start Up’s — 6,260 members (public group). Indian Startups — 20,915 members(closed group). India Start-Up Club — 464 members (public group). Startup India Standup India —7,121 members (public group). Startups Association of India — 8,988 members (public group). Entrepreneur India — 18,634 members (closed group). Startup Karo — 2,523 members (public group). New Delhi & NCR Entrepreneurs and Startup Network — 2,876 members (public group). Startup Jobs India — 4,040 members (public group). Bangalore Startups Investors — 2,452 members (closed group). Online Startups India — 1,235 members (closed group). Startup-Connect India — 2,467 members (public group). Bangalore Startups — 1,038 members (public group). 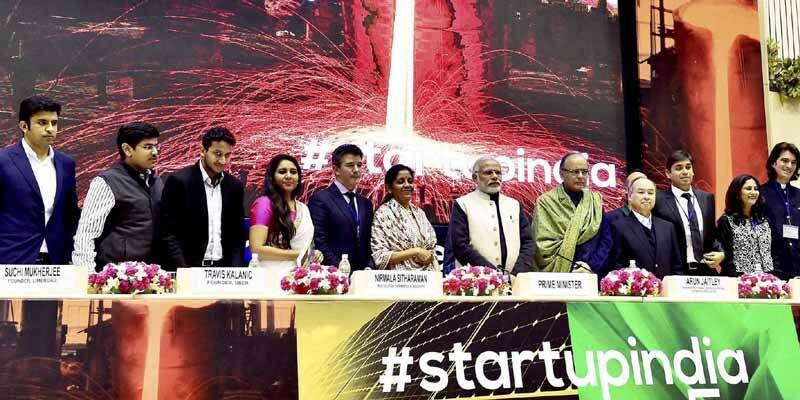 StartUp India — 55 members (public group). Start-ups Mumbai — 3,315 members (public group). India Startup — 149 members (public group). Food & Beverage Startups India (FBSI) — 5,751 members (closed group). Startups in India — Jobs & Discussions — 20,168 members (public group). VC/Angel Funding Requests — India — 11,924 (closed group). Nagpur Startups — 3,352 (public group). ARS Club — 12,929 members (public group). India BizNeXX — 5,538 (public group). Ghaziabad Startups — 1,339 members (closed group). How to Start a Startup-India — 3,424 members (public group). Startup Pune — 2,009 members (public group). Hyderabad Startup Jobs — 2,170 members (public group). Startup Investment & Exit Opportunities, India — 1,351 members (public group). HeadStart Network — 27,029 members (public group). India Mumbai Startup Generator — 4,779 members (public group). Startup Arena — 4,411 members (public group). Startup Diary — 1,539 members (closed group). Funding-VC Investments & Startups Delhi & Mumbai — 5,303 members (public group). Startup jobs in Delhi/NCR — 2,180 members (public group). Ahmedabad Startup Community (ASC) — 17,550 members (public group). Gurgaon Startups — 2,971 members (closed group). Startups India — 15,968 members (closed group). Startup Grind India — 700 members (public group). Startup India-Standup India — 932 members (public group). Hyderabad Startup Eco System — 2,501 members (public group). Fintech Startups India — 1,983 members (closed group). Pune Entrepreneurs — 4,590 (closed group). Noida Startups — 3,969 (closed group). Mumbai Startups (SAI) — 2,378 (public group). Bangla YourStory — 3,365 (public group). Delhi Jobs and Startups — 3,399 (public group). Eat My Startups — India — 34,776 (public group). Indian Startup Stories — 1,652 members (closed group). Startups in India — 2,090 members (public group). Bangalore Startups & Entrepreneurs — 4,503 members (public group). Delhi Connect & Startup — 2,201 members (closed group). Mumbai Entrepreneurs and Startup Network — 1,328 members (public group). Startup Scene Hyderabad — 5,537 members (closed group). About me: Hey my name is Luke Fitzpatrick (@iamwormify), I’ve worked in startups in Seoul (South Korea), and Sydney (Australia). I’m running a fun experiment on ghacklabs. You can get help with you startup on ghacklabs. Just ask one question, and if you’re happy with our answer, then pay $1. We are not doing $1 startup consultations to make money per se, we’re doing it for a few different reasons … We believe that everyone deserves a chance. All of the data, will be used to create a book. And, ghacklabs will become both a platform and a marketplace housing some very cool things for startups. Check out our Startup Essay Blog.